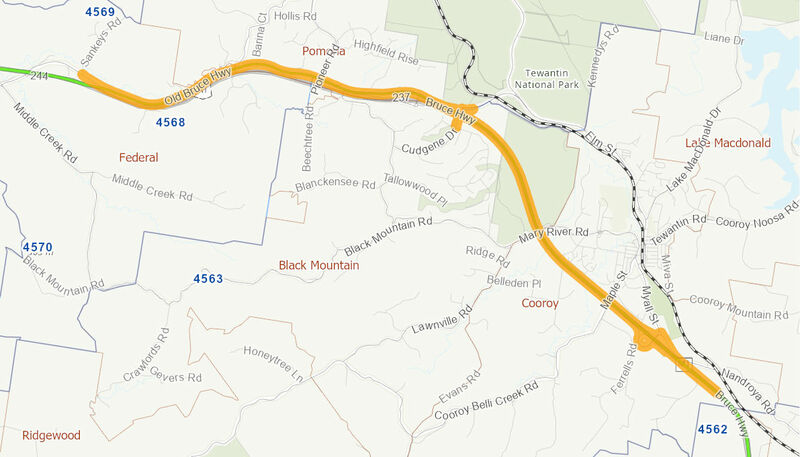 The Cooroy to Curra Section A project will realign approximately 13 km of the Bruce highway from the Cooroy Southern interchange to Sankeys Road. The project includes duplication of the highway to four lanes, construction of a new grade separated interchange north of Cooroy and new bridges. The improvements are designed to enhance the safety and efficiency of passenger and freight movement along this section of the Bruce Highway. The Australian Government has committed up to $245 million towards the project in partnership with the Queensland Government. Construction commenced in February 2013 and was completed in May 2017.